An exhibition dedicated to Bulgarian icons has been opened in Paris, to mark the 130th anniversary of the establishment of diplomatic relations between Bulgaria and France. ‘The treasures of the Bulgarian icons' exhibition was opened Monday in the church-museum "La Sainte Chapelle" in Paris. 80 masterpieces of Bulgarian iconographic art, medieval manuscripts and church plates will decorate the exhibition. The event is under the patronage of the presidents of the two countries Georgi Parvanov and Nicola Sarkozy. Bulgaria's Deputy Culture Minister Ivan Tokadzhiev attended the opening of the exhibition at the chapel of the Vincennes Castle in the suburbs of Paris. 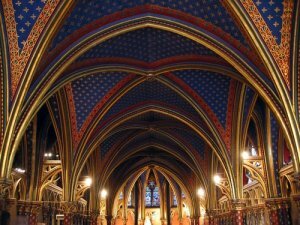 "La Sainte Chapelle" is one of the ten churches created by the Valois and Bourbon dynasties in the mid-16th century. Annually it is visited by 120 000 visitors.